Nvidia is looking to boost the battery life of devices based around its Tegra 2 system-on-chip platform even further, teaming up with Edinburgh-based chip company Wolfson to keep power draw to an absolute minimum. According to a report in Electronics Weekly, Nvidia has chosen Wolfson's WM8325 power management chip to be a part of its recommended reference design for Tegra 2-based mobile devices, which are becoming increasingly popular in the tablet and even smartphone markets. 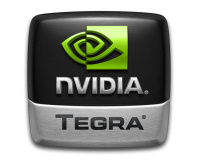 While Tegra 2 offers an impressive set of specifications, combining two ARM Cortex-A9 processing cores with a GeForce graphics engine, this results in in a higher power draw than some other ARM-based single-core implementations. To counteract that, Nvidia will be using the WM8325, which Wolfson claims is the the world's highest-current monolithic power management IC. As a result, devices featuring the chip are expected to eke even more life out of their batteries. It's likely that the deal will also cover Nvidia's upcoming Tegra 3 platform, which will increase the number of processing cores available to four - a move which will again necessitate some clever power management if battery life isn't going to suffer. 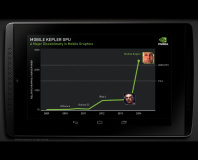 Nvidia has yet to confirm when devices featuring Wolfson's PMIC chip will appear on the market. Are you pleased to see Nvidia considering power management when developing reference designs, or just wondering how many hardware partners will choose to take the company's advice? Share your thoughts over in the forums.